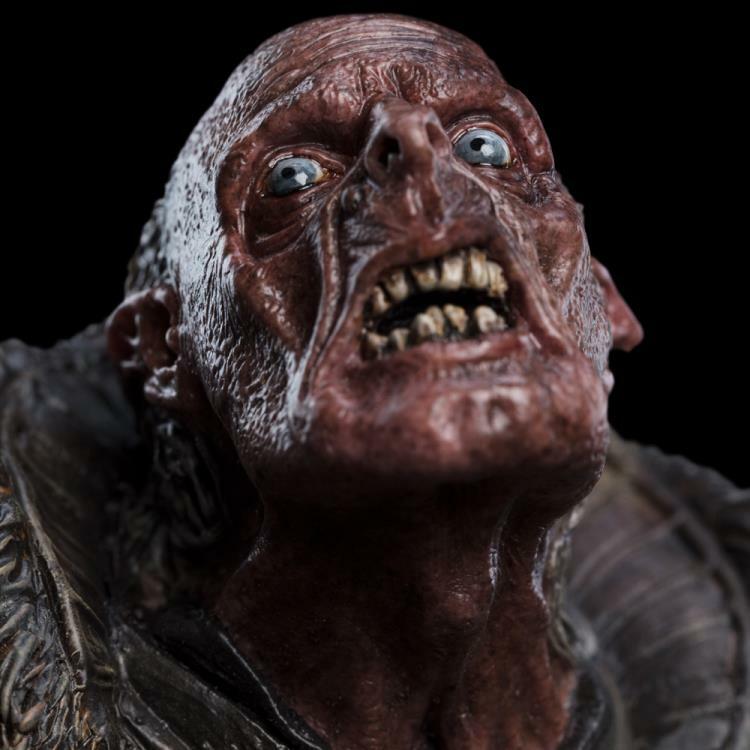 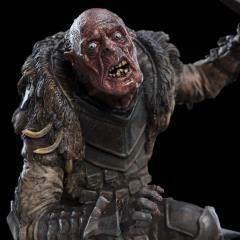 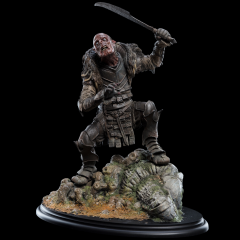 A particularly cruel and conniving Orc, Grishnákh was the leader of a small troop sent to meet up with Uglúk’s Uruk-hai scouts. 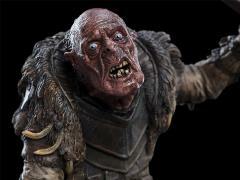 Suspicious and greedy, Grishnákh was curious about the Wizard Saruman’s plans for the captive Hobbits Merry and Pippin. 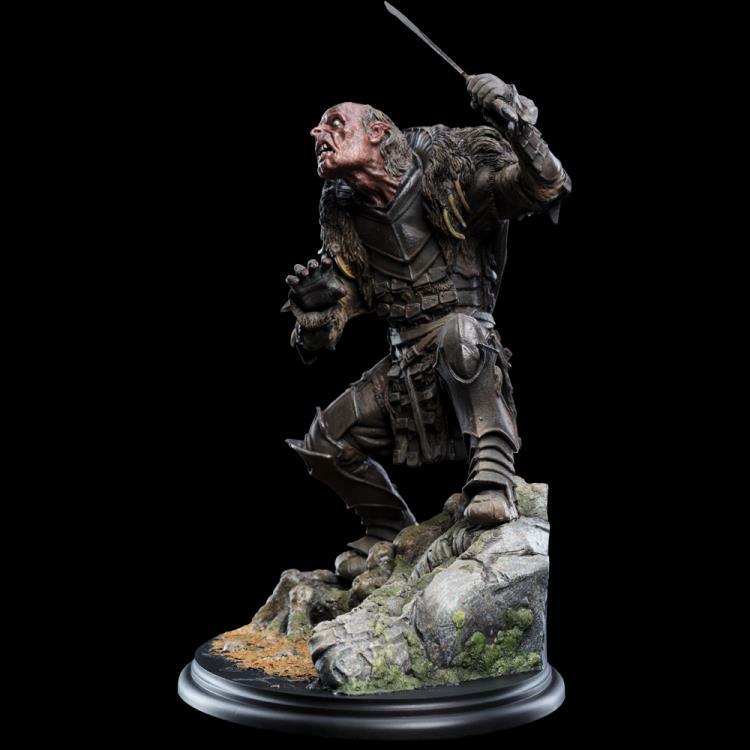 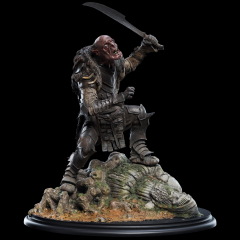 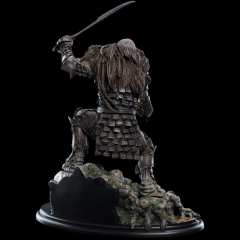 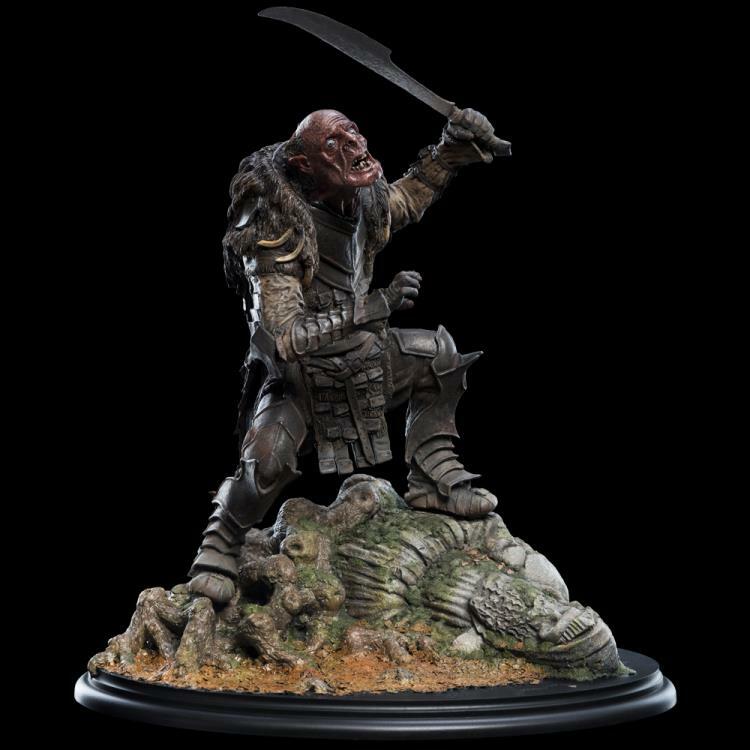 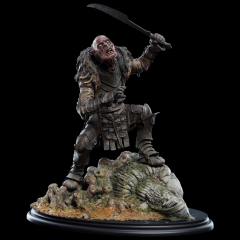 Grishnákh is brought to you by master sculptor Jamie Beswarick, an accomplished artist who is one of Weta Workshop's longest-serving crew members, being part of the original Lord of the Rings crew. Grishnákh stands complete in 1:6 scale: weapon raised above his captives, moments before he met his death. 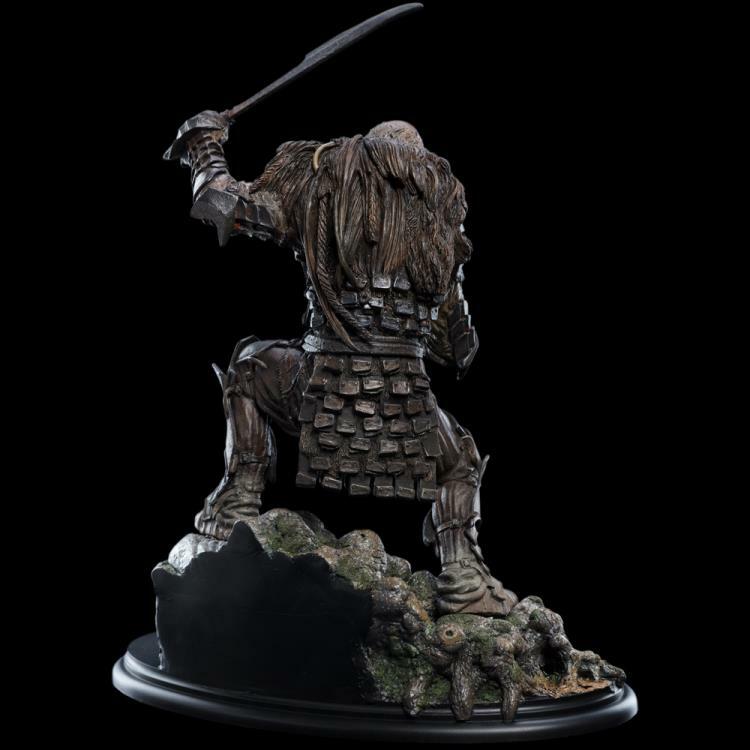 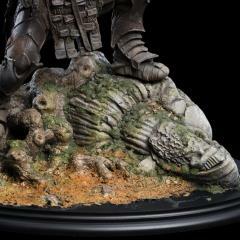 This statue is available in a Limited Edition of just 500.